Whether you believe Millennials are narcissistic, ‘special snowflake’ generation or an economically squeezed, misunderstood cohort, most agree they deserve a marketing strategy all their own. Digitally savvy, uncompromisingly mobile, participants in the sharing and gig economies, owners of ‘networked selves’…Millennials’ formative experiences are distinctive enough to warrant a closer look when trying to understand their consumer habits. This is where we come to our double-sided coin: customization and personalization. To the untrained ear, customization and personalization sound more or less the same. In fact, they refer to two distinct processes. (Also, if we’re getting technical, we really should refer to our first term as ‘mass customization’.) First identified in 1987 in the book, Future Perfect by Stan Davis, ‘mass customization’ has come to mean, “the process of delivering wide-market goods and services that are modified to satisfy a specific customer need.” Distinct from mass production – mass customization’s homogenous, less evolved precursor – mass customization allows consumers to assemble their own, unique product according to their particular tastes and needs. Think of picking out colors, patterns, and designs to craft your very own Nike shoe or Burberry coat. It’s still branded Nike or Burberry – but it’s also distinctly you. Mass customization is a practice driven by the consumer that allows them to become ‘co-producers’ with the brand of their own uniquely personal product and is a process that must be reproduced at scale by the company. 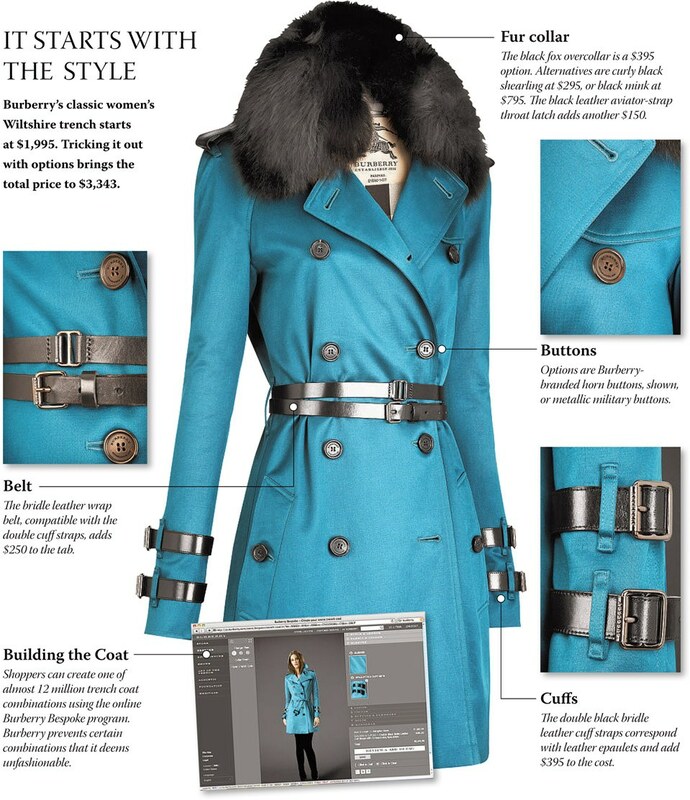 The high-end brand Burberry launched their mass customization option, Burberry Bespoke, in 2011. 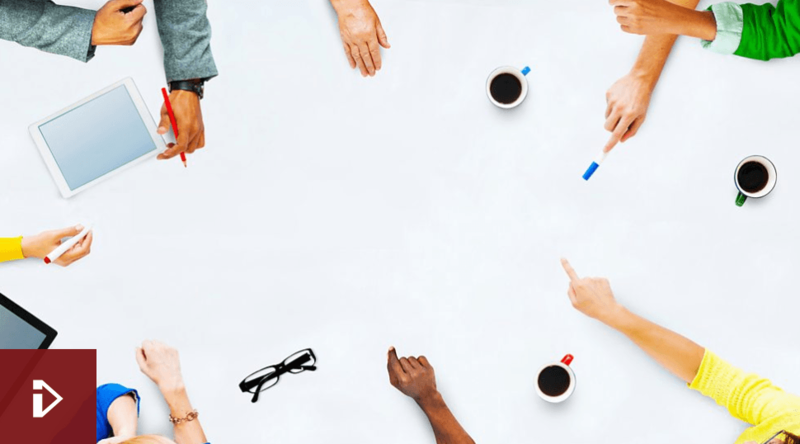 Personalization, on the other hand, is a marketing strategy driven by the company, based on consumer data, that aims to create personalized, or ‘one-to-one’ communication with a single consumer or consumer segment. We might date the idea back to the 1993 book, The One to One Future, by Don Peppers and Martha Rogers. When you receive an email that uses your first name in the subject line or see product recommendations algorithmically chosen ‘just for you’, or if a website’s homepage changes to reflect your past purchase history, location or gender…you’ve experienced personalization. The company in question is trying to create a hyper-relevant message designed specifically for you, in the hopes that it will cut through marketing noise to grab your attention and bring you through the sales funnel. You can certainly see the similarities between the two strategies. Both aim to make consumers feel uniquely understood and marketed to as individuals. Both put a high value on self-expression and personal tastes and experiences. Both create the illusion that consumers are being given bespoke treatment and have a one-on-one relationship with the brand. And both, in a way, involve the consumer as a co-producer of value – for customization, it means relying on their predilections to craft the product, and for personalization, it’s sharing their data (unbeknownst to them or not) to create personalized marketing messages. You can see how those who dramatize Millennials’ navel-gazing tendencies certainly favor these two strategies for targeting them. 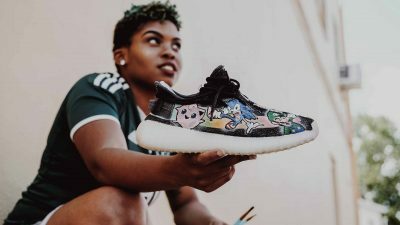 But customization and personalization also speak to Millennials’ ability to see right through traditional marketing, their distracted viewing habits (customization and personalization more easily grab attention), and their penchant for social networks. 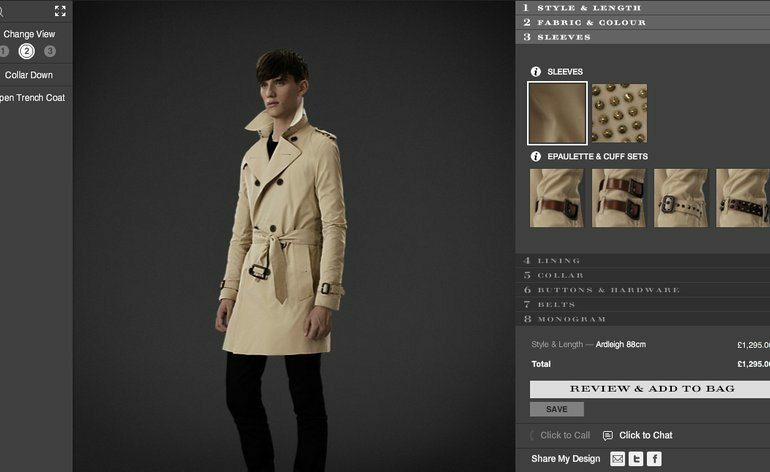 Burberry, for example, savvily allowed anyone to share their customized Burberry creation on social networks, even if they couldn’t actually afford to buy the product. Even if the consumer can’t afford their £1,295 creation, note the ‘share my design’ buttons on the bottom right: they can still express themselves through their customized creation – and promote the brand – on social networks. 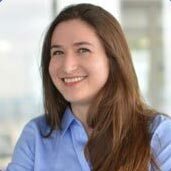 If we want to dig a bit deeper as to why customization techniques work – for Millenials or anyone else – Customer Experience Psychologist Liraz Margalit has a few ideas. She explained to TechCrunch that two general principles are at stake: “I Built It, Therefore I Own It”, and “I Own It, Therefore It Is Superb”. “I Built It, Therefore I Own It” refers to the idea that participating in the elaboration of an item – even virtually, as on a website – leads to a sense of ownership of that item. In Margalit’s words, “The opportunity to take part in a process and influence the end result promotes emotional attachment that leads to psychological ownership, the feeling that something is “mine” even without legal ownership.” She then referred to work by Dan Ariely and his so-called ‘Ikea Effect’, which shows that people put a higher value on objects they have actually worked to produce. 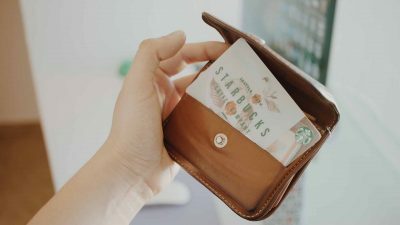 Similarly, “I Own It, Therefore It Is Superb” refers to the Endowment Effect or the finding that, “consumers value an object more once they have taken ownership of it.” Margalit talks about a study at Cornell University in which students favored objects they had ‘owned’, even for a short time, over those they had never had a claim to. Basically, when you customize an item, you pour a little part of yourself into it, you feel that it already belongs to you, and you value it more – and are therefore motivated to finalize your purchase, and even pay a premium. These psychological underpinnings, in addition to Millenials’ particular need to be wrenched from constant multitasking and their penchant for self-expression, makes customization a good choice for this age bracket. Throw in the idea that co-creating a product with a brand approximates what Pine and Gilmore call ‘an experience’ (à la, The Experience Economy), and you’ve got yourself a winning hand. Joseph Pine explains how Mass Customization led to the Experience Economy – and what’s next in line in terms of virtual experiences. 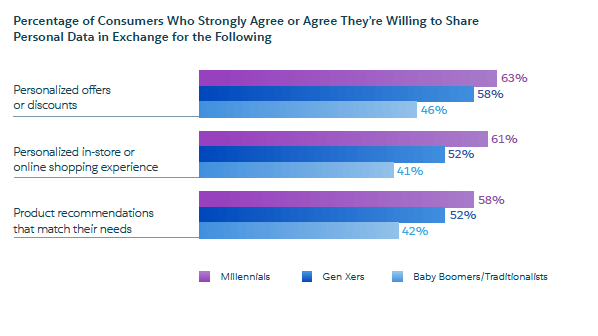 Millennials want a customer-centric experience in which they feel wanted and valued. Whether it is in-store or through social media channels, showing interest in these shoppers creates loyalty. 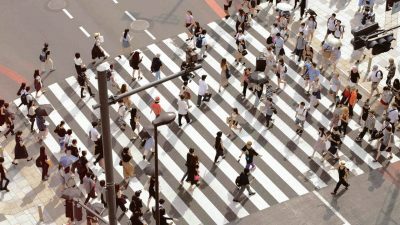 In order to do this, retailers need to closely examine what they’re currently doing with customer data, and ensure this information is being utilized to deliver a more personalized in-store experience. Ultimately, though a product strategy on the part of the company, mass customization is driven by the consumer. Especially appealing to Millennials, it’s a way of validating their own sense of self through ‘build-a-bear’ style product production. With personalization, the onus is much more on the company to bring value and deliver meaning to the consumer audience they’re targeting. Aside from the platitude of, ‘the more relevant, the better’, is there any psychological data to explain why personalization strategies lead to higher conversion rates? The quick answer is ‘yes’ – namely a study conducted at the University of Texas that was picked up a few years ago by HubSpot. As they explain, this research admitted the efficacy of digital personalization techniques and boiled its success down to the human desire for control and information saturation. 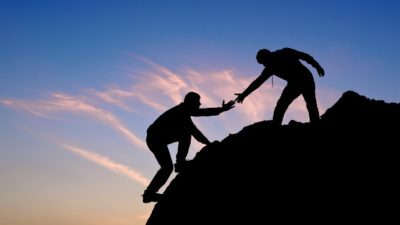 People naturally crave to be in control of their surroundings (and their own fate, free will…) and personalization techniques create a cherry-picked environment that feeds into that need. Bargain hunting for low-priced kitchenware from your favorite outlet? 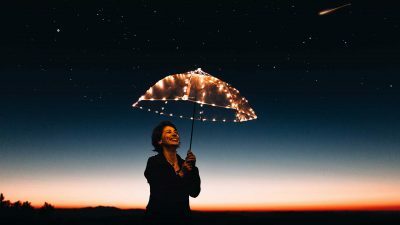 If ads for the very items you’re looking for suddenly appear all over the internet, it somehow creates a feeling of empowerment, as if in some impossible way, your wishes and needs automatically manifest. As for information overload, this is the classic argument that contemporary consumers are exposed to a dizzyingly high number of marketing messages, far too many to ever register consciously, let alone remember or act on. Personalization strategies both (hopefully) limit the number of marketing messages a consumer is exposed to in the first place, as well as stimulate the brain to recognize these stand-out strategies, as opposed to letting them sit in the background of our consciousness. This is the idea of selective attention or the fact that your brain will automatically pick up on potentially important stimuli – i.e. those most relevant to you. Though not the same, (mass) customization and personalization strategies revolve around people’s deep-seated desires for self-expression and recognition – as well as their limited attention spans. 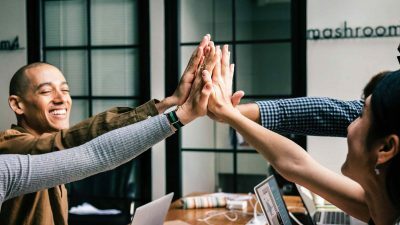 Particularly relevant for the Millenial age bracket, successful customization strategies will make the consumer a co-producer of value alongside the brand, and successful personalization techniques will identify valuable data and use them to create and deploy ultra-relevant marketing messages.